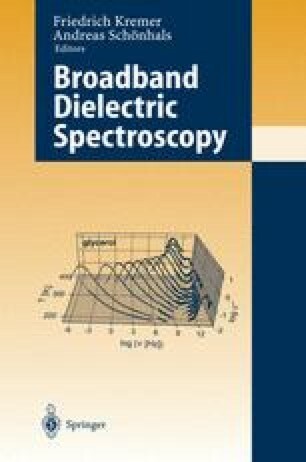 Broadband dielectric spectroscopy (BDS) and solid-state nuclear magnetic resonance (NMR) are two of the working horses in modern materials research. Both methods are well suited to study the dynamics in disordered condensed matter in an extremely broad range of more than 15 decades in time and/or frequency. However, the strategies employed to retrieve information from a given substance are quite different for NMR as compared to BDS. To the practitioner of conventional dielectric spectroscopy, who is used to the relatively simple sampling of the electrical polarization in the frequency or time domains, the wealth of NMR techniques sometimes appears bewildering. Another difference between the two methods is that quantum effects are rarely needed explicitly in order to analyze a dielectric experiment, while in NMR at least some elementary knowledge of quantum mechanics is required from the outset. The benefits of the seeming complexity inherent in theory and experiment of NMR, as compared to BDS, are numerous: NMR is element specific and the selectivity to the dynamics of certain sites or groups within a molecule or to certain components within a mixture can often be enhanced further by spectral filtering or isotope labeling. Some of the more sophisticated NMR techniques, e.g., when performing multidimensional spectroscopy, due to limitations imposed by the requirement to achieve an acceptable signal to noise ratio, can be relatively time consuming as compared to experiments carried out using BDS. This advantage of the latter method may be viewed as arising at the expense of the fact that usually only an integral response of the subset of those degrees of freedom is measured which couple to charge carriers or dipole moments in the sample. Hence systematic (as a function of composition, say) BDS studies are often required to obtain firm assignments of relaxation processes as seen in, e.g., dielectric loss spectra. The combined application of experimental methods, and particularly of the two complementary ones dealt with in the present chapter, has greatly advanced our understanding of the molecular dynamics in disordered materials.